Goliath isn’t going away anytime soon. Deadline reports Amazon has renewed the TV show for a third season. 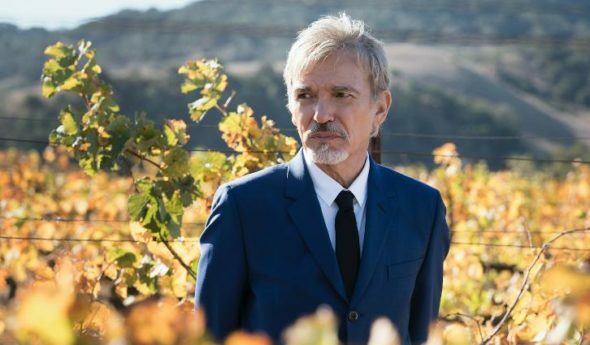 The legal drama stars Billy Bob Thornton as Billy McBride, a washed-up lawyer who takes on the major corporate firm he helped create. The show’s cast also includes Maria Bello, William Hurt, Olivia Thirlby, Sarah Wynter, and Molly Parker. What do you think? Have you seen Goliath? Will you watch season three? More about: Amazon TV shows: canceled or renewed?, Goliath, Goliath: canceled or renewed? Goliath: Top Binged First Season for Amazon; Season Two Coming? Great show, glad they will have a season 3. Billy Bob is perfect in this role. Darn right! Absolutely like it… No one actor is any more compelling than Billy Bob. The 1st round was tough to beat; round 2 was good enough too. Expect 3 to be best. Keep it up. Yes definitely I will. Great Show! I normally do not watch this type of thing. I was hooked immediately and can’t wait for season 3! I can’t wait for season three. I also hope it more follows season one’s story telling format. I was very disapointed with season 2. too many irons in the fire.Loved season 1. Absolutely will watch…love the show, love the characters! Hope season 3 is more like season 1 than season 2, which was more of a drag to get through. Can’t wait! Billy Bob Thornton has never looked better or healthier and while he’s always been a great actor, I think he is at his best in this show. I hope it is renewed for many more seasons because it is first rate entertainment. Most definitely! Enjoyed every show in series 1&2. Can’t wait! Yes!!!! I love ❤️ this show!!! Have seen all 2 seasons. Love Billy Bob Thorton and the story lines. Yes I will for sure!